and Empire Falls , so I was looking forward to reading this. 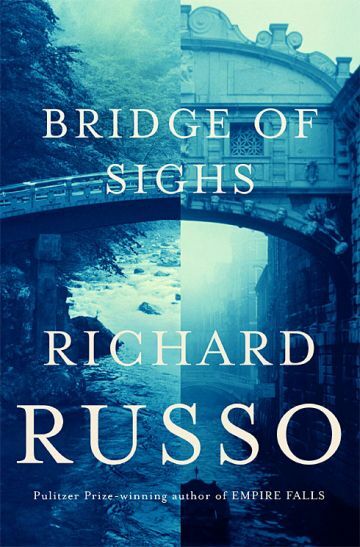 I'm not sure I would suggest this novel as your first Russo book — it needed tighter editing, and he never seems to get a handle on Lucy, one of the main characters. I think Straight Man is my favorite, but if you've read one or two of his other books, then read this book to continue the Russo ride of small town New England life. Russo is the master of dive bars in former factory towns and the soft-hearted oddballs that occupy them. He is able to navigate the class divides of small town life, and familial affection is a common theme. I'm looking forward to reading his new book this summer. I'm still thinking about the book and didn't want it to end, so I'm loving that I can listen to his NPR talk and read old reviews. Nobody’s Fool is wonderful. It’s my husband’s favorite book and he re-reads it at least once a year. Straight Man was laugh-out-loud funny, and now that I work at a university I appreciate it even more. We both liked Bridge of Sighs, too, bit I agree with you about Lucy. I read Empire Falls and did not care for it all. That said, I’ve heard great things about Straight Man!